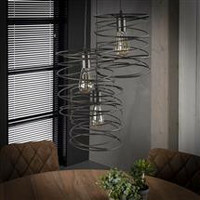 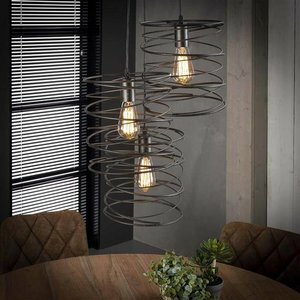 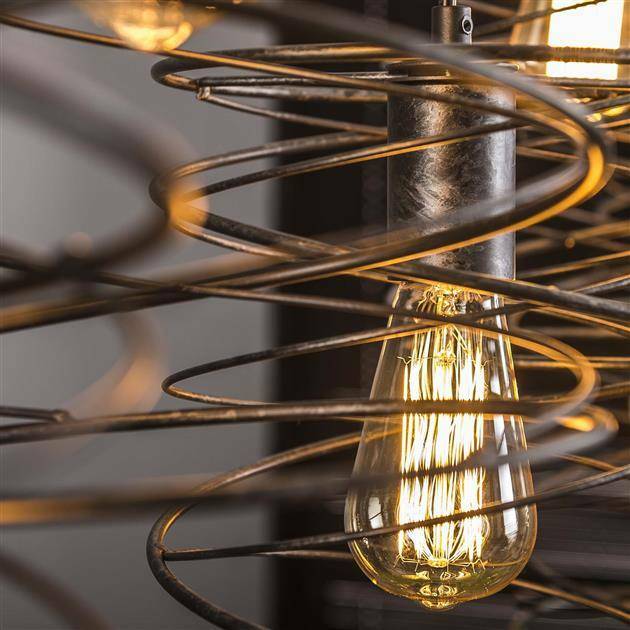 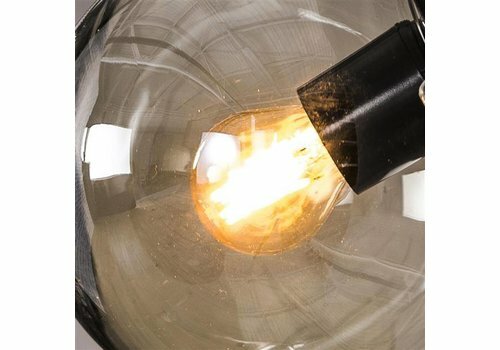 This 3-light pendant lamp 'curl' has hoods in the form of a spiral. The lampshades hang at different heights on a black cable on a round ceiling mount. 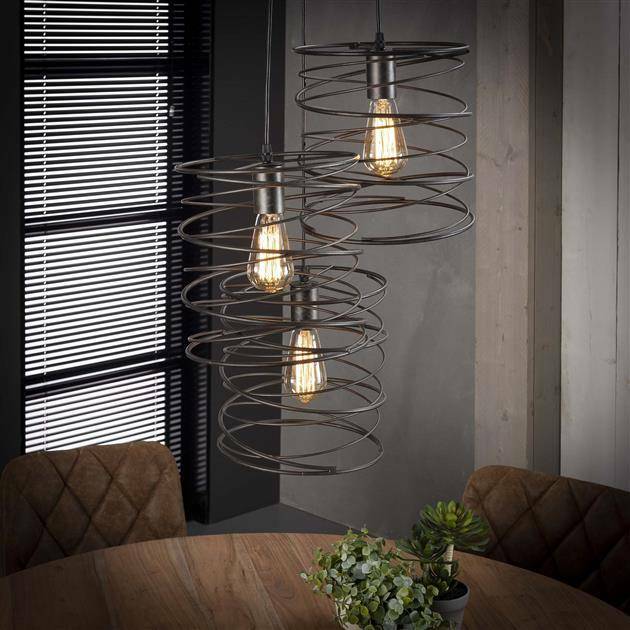 This 3-light pendant lamp 'curl' has hoods in the form of a spiral. The lampshades hang at different heights on a black cable on a round ceiling mount. 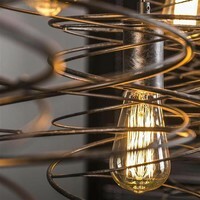 This gives the lamp a playful and cool character. 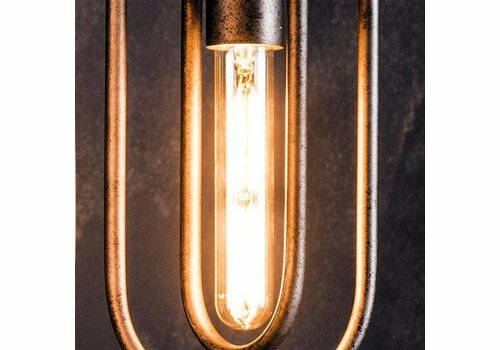 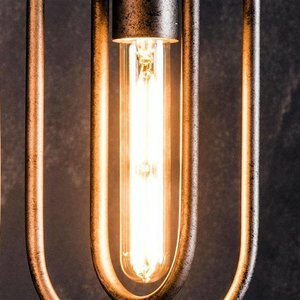 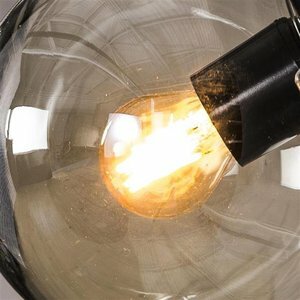 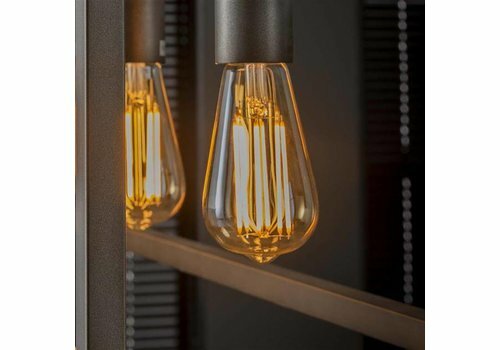 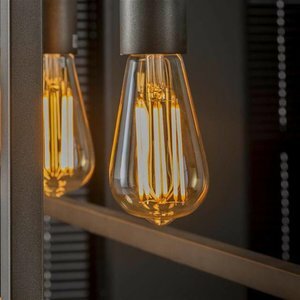 The lamp is made of metal with a dark 'charcoal' color.